Professor of Economic Theory (Since 2004). A talk I presented on the uses of mathematics in economics can be found here . David Kelsey Han Bleichrodt, Simon Grant, Jurgen Eichberger and Chen Li, (2018), "A test of Dynamic Consistency and Consequentialism in the Presence of Ambiguiy", . David Kelsey Surajeet Chakravarty and Joshua Teitelbaum, (2017), "Tort Liability and Unawareness" , seminar . David Kelsey Jürgen Eichberger and Simon Grant (2015), "Strategic Ambiguity in Two-Player Extensive-Form Games with Perfect Information: The Centipede Game", seminar . David Kelsey (2011), "Political Economy and the Firm", seminar. David Kelsey and Jo Peryman, (2015), "Cultural Norms and Identity in Coordination Games". David Kelsey and Tigran Melkonyan (2018), "Contests with Ambiguity", Oxford Economic Papers, forthcoming seminar . David Kelsey and Sara LeRoux, (2017), "Strategic Ambiguity and Decision-Making: An Experimental Study" Theory and Decision, forthcoming, "working paper", seminar..
David Kelsey and Sara LeRoux, (2017), "Dragon Slaying with Ambiguity: Theory and Experiments", , Journal of Public Economic Theory, 19, 178–197, seminar. David Kelsey, and Surajeet Chakravarty, (2017), "Ambiguity and Accident Law", Journal of Public Economic Theory, 19, 178-197. David Kelsey and Sara LeRoux, (2015), " An Experimental Study on the Effect of Ambiguity in a Coordination Game", Theory and Decision, 79, 667-688. working paper . simulated urn Press F9 to get a new draw from the urn. David Kelsey and Jürgen Eichberger (2014), "Optimism and Pessimism in Games", International Economic Review, 55, 483-505 working paper . 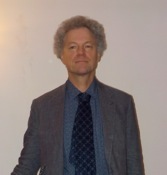 David Kelsey, Jürgen Eichberger, Simon Grant and Gleb Koshevoy, (2011), "The a-MEU model: A Comment", Journal of Economic Theory, 146, 1684-1698, working paper. David Kelsey, and Jürgen Eichberger, (2009), "Ambiguity, a Survey", paper in Handbook of Rational and Social Choice , eds. Anand, Pattanaik, and Puppes, OUP, 2009. David Kelsey and Frank Milne (2008), "Imperfect Competition and Corporate Governance" , Journal of Public Economic Theory, 10, 1115-1141. David Kelsey and Willy Spanjers (2004), "Ambiguity in Partnerships", Economic Journal, 114, 528-546., working paper includes technical appendix. David Kelsey and Jürgen Eichberger (2002), "Strategic Complements Substitutes and Ambiguity", Journal of Economic Theory, 2002, 106, 436-466. working paper. David Kelsey and Jürgen Eichberger (2000), "Non-Additive Beliefs and Strategic Equilibria", Games and Economic Behaviour, 2000, 30, 183-215. working paper. David Kelsey and Jürgen Eichberger (1996), "Uncertainty Aversion and Preference for Randomisation", Journal of Economic Theory, 1996, 71, 31-43. David Kelsey (1995) "The Arbitrage Pricing Theorem with Non-Expected Utility Preferences", Journal of Economic Theory, 65, 557-574. David Kelsey (1988), "The Economics of Chaos", Oxford Economic Papers , 40, 1-31, Reprinted in F. Hahn (ed. ), The Economics of Missing Markets, Information and Games, OUP. David Kelsey (1984), " Acyclic Choice without the Pareto Principle," Review of Economic Studies, LI, 693-699.